The Supreme Court’s judgment in Volcafe v CSAV, handed down today, is essential reading for all involved in the carriage of goods by sea, whether lawyer, insurer, cargo owner or carrier. 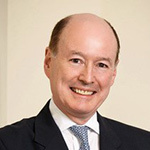 John Russell QC and Benjamin Coffer appeared for the Appellants, instructed by Andrew Nicholas from Clyde & Co. Simon Rainey QC and David Semark appeared for the Respondents, instructed by Mark Doyle from Mills & Co. Argued as test case on the Hague Rules, Volcafe provides the first authoritative analysis of the burden of proof under the Hague and Hague-Visby Rules, the continuing relevance of the English common law of bailment where the Rules apply, and the interaction between the carrier’s duty to care for cargo under Article III.2 and the defences available to the carrier under Article IV.2. Upholding the cargo claimants’ appeal, the Supreme Court has held that, as a bailee, a carrier is liable for loss or damage during the voyage unless it proves on the balance of probabilities that the loss or damage was not caused by any breach by it of its Article III.2 cargo care duties, or that one of the defences in Article IV.2 applies. In order to bring itself within one of the Article IV.2 defences, the carrier must also prove that the loss or damage was not caused by its own negligence or breach of Article III.2. In practice, the burden is therefore on the carrier in any cargo claim to disprove causative negligence. In reaching that conclusion, the Supreme Court has overturned the decision of the Court of Appeal in The Glendarroch  P 226, which had proven controversial for more than a century, and rejected dicta, previously thought to be authoritative, of the House of Lords in Albacora SRL v Westcott & Laurence Line Ltd 1966 SC(HL) 19 and of the High Court of Australia in Great China Metal Industries Co Ltd v Malaysian International Shipping Corpn Bhd (The Bunga Seroja)  1 Lloyd’s Rep 5. The judgment also illustrates, again, the high threshold which must be met before an appellate court can interfere with primary findings of fact. Although Lord Sumption expressed some doubt about the weight given to the evidence by the Judge at first instance, he was clear that there had been no sound legal basis for the Court of Appeal to interfere with those findings. The Supreme Court therefore restored the findings made by the Judge at first instance. The claim in Volcafe was a routine low value cargo claim. It concerned condensation damage to a number of cargoes of coffee beans, which had been stuffed into containers by the carrier. Coffee beans, a hygroscopic cargo, emit moisture during carriage which causes inevitable condensation on the walls of the container. The damage caused by the condensation can be mitigated by lining the containers with paper or card. The carrier argued that the condensation damage was caused by an inherent vice of the cargo, its inherent propensity to emit moisture, and that it was therefore entitled to rely on the defence in Article IV.2(m) of the Rules. The cargo claimants argued that the carrier had failed to apply sufficient card or paper to the walls of the container. At first instance, the Judge decided the claim on the burden of proof. He held that proof of damage gave rise to an evidential inference that the damage had been caused by a breach of the carrier’s obligations under Article III.2, and that the carrier had not displaced that inference by showing that it had complied with its obligations under Article III.2. In those circumstances, it could not rely on the Article IV.2(m) defence. The Court of Appeal overturned the Judge’s decision. It accepted the cargo interests’ argument that the carrier, as a bailee, bears a legal burden of bringing itself within one of the defences in Article IV.2. Applying the long-standing decision in The Glendarroch, Flaux J (giving the leading judgment) held that the carrier could establish a ‘prima facie’ case of inherent vice merely by proving that the moisture which caused the damage had originated in the goods themselves. The burden would then ‘shift’ to the cargo interests to prove that the cause of the damage was not inherent vice, but some failure by the carrier to exercise reasonable care. In the Supreme Court, the argument concentrated on whether the Court of Appeal had been right to hold that the carrier bears a legal burden, or whether (as the Judge at first instance had held) the carrier’s burden was merely an evidential one (as arguably suggested by Albacora v Westcott & Laurence and The Bunga Seroja). The Supreme Court held that the carrier’s burden was legal. The contract of carriage is a contract of bailment, and the carrier is therefore a bailee. The bailee’s reverse burden of proof is not displaced by anything in the Hague Rules. Like any other bailee, a carrier is therefore liable for damage to goods in its possession unless it can prove that the damage was not caused by any breach of the required standard of care, or unless it can bring itself within a contractual exclusion clause. The Court rejected the carrier’s argument that the positive obligations of cargo care under the Hague Rules are inconsistent with any continuing role for common law bailment principles: the Court held that the Rules are “not exhaustive of all matters relating to the legal responsibility of carriers for the cargo”. Where the Rules are silent, English common law continues to apply. Because the carrier as a bailee bears the legal burden, it must therefore prove on the balance of probabilities that that the loss or damage was not caused by any breach of Article III.2, or that one of the defences in Article IV.2 applies. The Supreme Court held that “so far as [Albacora v Westcott & Laurence and The Bunga Seroja] suggest that the cargo owner has the legal burden of proving a breach of article III.2, they are mistaken”. In The Glendarroch (a pre-Hague Rules case), the Court of Appeal had held that where a cargo claimant alleged that the carrier could not rely on the perils of the sea defence because of its own negligence, the burden of proving negligence was on the cargo claimant: negligence was “an exception to an exception”. Lord Sumption described the The Glendarroch as “technical, confusing, immaterial to the commercial purpose of the exception and out of place in the context of the Hague Rules”, and declined to follow it. He held that there is no general principle of law that a cargo claimant bears the burden of proving negligence. If the carrier seeks to rely on one of the defences in Article IV.2, the carrier must prove that the effective cause of the loss or damage was the excepted peril, and not the carrier’s own negligence or breach of Article III.2. The Supreme Court judgment also provides useful guidance on the meaning of inherent vice. As an alternative ground for the decision, the Court held that inherent vice meant the unfitness of the goods to withstand the ordinary incidents of the voyage, given the degree of care which the shipowner is required by the contract to exercise in relation to the goods. To establish the defence, the carrier would therefore have had to prove either that the shipowner provided the contractual degree of care, or that even had it done so the damage could not have been prevented. As it had not proven either of those matters (on the Judge’s findings of fact), it could not rely on the defence. The decision is a landmark one which brings decisive clarity to a much debated area, both generally in relation to the burden of proof upon the cargo claimant and the carrier in a case of cargo damage and in particular in relation to the correct application of the Article IV.2(m) defence of inherent vice. The universal approach adopted to the pleading of any standard Hague or Hague-Visby Rules cargo claim is likely to undergo rapid reappraisal. Cargo claims will now proceed on the basis that the cargo claimant is able to rely on proof of damage to the cargo as setting up, by itself, a sustainable cause of action, which casts the legal burden on the carrier in all cases to disprove negligence. A different approach will also need to be taken to the pleading by carriers of Article IV.2 defences with the necessary particularisation in most cases of how (well) the goods were carried and cared for. 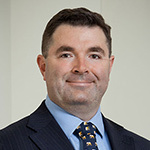 John is an experienced and determined commercial advocate and has acted as lead Counsel in numerous Commercial Court trials, international and marine arbitrations and appellate cases, including in the Supreme Court. He has also appeared as counsel in inquests and public enquiries. He relishes both detailed legal argument and cross-examination of lay and expert witnesses. He will always ensure that a client's case is presented in the most persuasive manner possible, both in writing and orally. John provides advice to a wide range of clients. 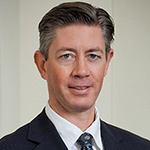 He combines first rate technical legal analysis with a pragmatic, commercial, problem solving approach to cases. John accepts instructions in many fields of commercial dispute resolution with a particular focus on shipping, commodities, international trade, marine insurance, aviation and travel. He is ranked in the Legal 500 and Chambers & Partners in Shipping, Commodities, Aviation and Travel. Ben is described by the directories as "a rising star" (Legal 500, 2019); “a standout shipping and commodities junior" (Chambers & Partners, 2018) and “a star of the future” (Chambers & Partners, 2017). He is also recognised as a leading junior in the Legal 500 Asia Pacific Guide. Ben undertakes the full spectrum of shipping work, including every species of charterparty and bill of lading claim, as well as shipbuilding and ship finance disputes. He has developed a particular specialisim in cases involving carriage of goods under the Hague and Hague-Visby Rules, and has appeared in several of the leading cases on such claims in recent years.